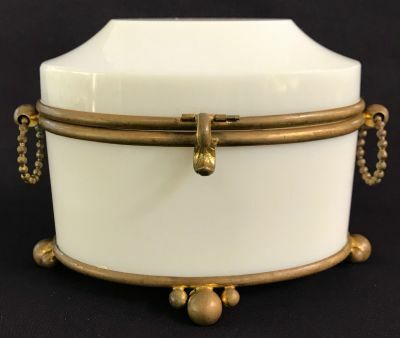 French opaline box with original gilt bronze mounts, in excellent condition. Oval form with circular bead handles and a S shape hinged latch. 5 1/2” by 3 1/2”, 4 3/4” high.